The Punting Competition saw a tremendous display of talent with former St John Bosco PK and current USC Punter Reid Budrovich pulling through with the win over Griff Amies (CDM/Rocky Mountain College) in the final. Reid showed his ability with his best ball of 47 yards/4.8 ht and another of 46 yards/4.6 ht. Amies, who always does well in the FG competition, surprised everyone by qualifying for the final with a big punt of 53 yards/4.3 ht. 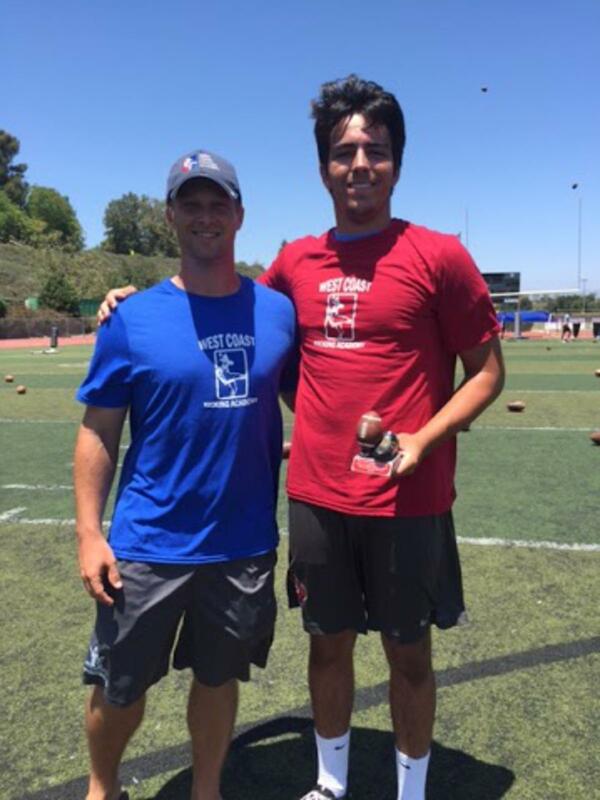 The most consistent punter of the day was Ryan Stonehouse (Mater Dei) with a 44 yard ave/4.35 ht ave. and was the #1 Seed heading into the elimination bracket, but was knocked off by Harrison Avila (Laguna Hills) who hit the best punt of the day, 53 yards/4.5 ht to beat Stonehouse. Harrison has shown he has All County potential as both a kicker and punter. Stonehouse had a best punt of 47 yards/4.7 ht. Look for him to be a top recruit this Fall and one of the better punters on the West Coast. Chase McGrath (Mater Dei), who currently holds an offer from Army, came out on top of a very talented group of SoCal Kickers to claim the title at the 11th Annual Head to Head Kicking Competition. Like champions of the past, McGrath got hot at the right time as he was the 4th seed entering the elimination round and won all 6 of his matches. In the Semi Final, he beat 2012 All American and #1 seed Griff Amies (CDM/Rocky Mountain College) 6-5. Griff has made the Semi Final or Final in 7 of the 8 years he has participated. McGrath won the title by beating last year’s Rising Star’s champion Ryan Brosnan (Trabuco Hills) in a very close final. 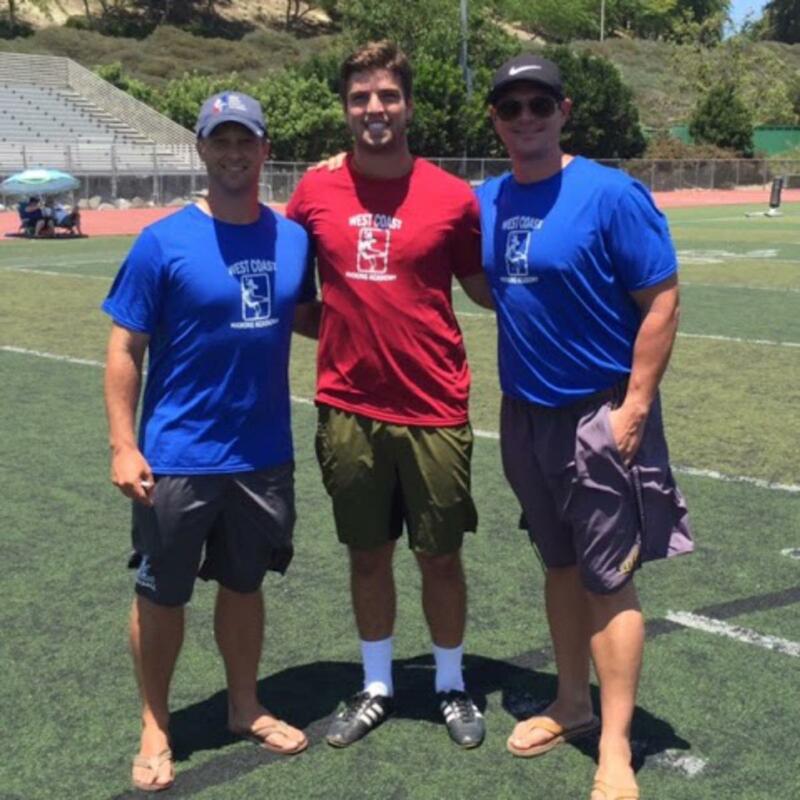 Brosnan who rarely misses in these competitions, knocked off the #3 seed and 2015 All-County kicker, Hayden McGinnis (Tesoro/Boise St), strong legged Junior to be Dylan Brady (Santa Margarita) in the Qtrs and the best kicker in the South Bay, Trevor Bowens (Redondo) in the Semis. Bowens, was able to knock off last year’s South Bay kicker of the year Kyle Coale (Palos Verdes/Western Ill) as coale suffered a quad injury. Coale had a great performance throughout the competition and also made the Punt finals. Bowens, then pulled a major upset by beating the #2 seed and strongest leg in the competition Daniel Bjurman (CDM/OCC) before losing to Brosnan. For the 2nd year in a row, Clay Eggeman (Capo Valley) performed well and won his group before being eliminated by McGrath in the Qtrs. McGrath is now eligible to be nominated for WCKA’s Hall of Fame once he graduates. The group stage was extremely competitive and it took consistency in all 3 rounds to advance to the elimination portion. Max Casper (CDM) - Won the Wild Card “Last Man Standing” by connecting on consecutive 50 yarders. The Rising Stars Division, featured a solid group of up and coming kickers from all over Orange County. The competition was won by soon to be 9th grader RJ Lopez of Mater Dei. RJ showed great consistency, connecting on 32-36 FG’s throughout the competition and was hot at the right time heading into the elimination round as the #2 seed after the group stage. RJ had to overcome some major hurdles on his way to the title. In the Semi Final, he was matched up with his older, more seasoned brother Nick, who will be a Sophomore at Mater Dei this Fall after completing a successful Freshman year. It was a fierce battle, as neither brother wanted to lose. RJ didn’t miss….. Winning 6-5. Expect big things from Nick Lopez in the future. In the final, RJ took on fellow Trinity rival and incoming 9th grader from Santa Margarita, Connor Bane. Bane, who has one of the biggest legs in his age group, hit some of the best balls of the competition. In the end, RJ’s consistency was too much, as he did not miss on his way to the title. The only kicker to beat RJ in the competition was fellow incoming 9th grader at Mater Dei, Jake Moos. Jake won in sudden death during the group stage and faced off with Nick Lopez in the Qtrs, coming out of with Nick winning on the last kick.…… The future is bright at Mater Dei in the kicking department. The top seed coming out of the group stage was Jake Woolgar (Laguna Hills) who won all 3 of his matches before losing to Porter Watson in the Qtrs. 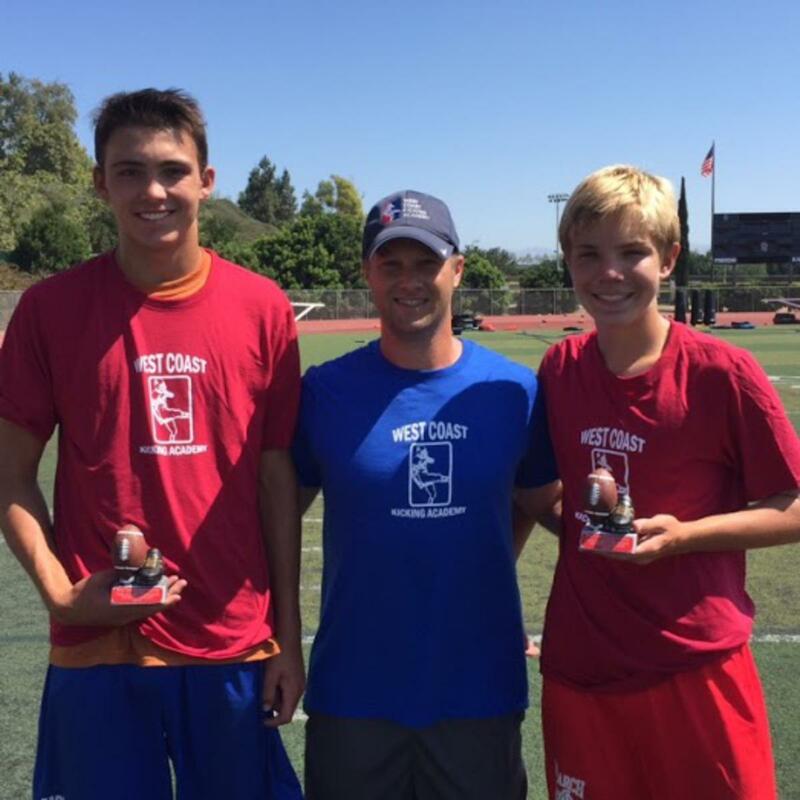 Other outstanding performances throughout the competition from a group of talented young kickers who will play Varsity this Fall were Joey Rizkallah (Tesoro), Brendan Marmion (Aliso Niguel) and Mason Holmes (Mission Viejo). This was a great group of solid young kickers who will definitely be ready in the Fall to compete for starting positions and will make a name for themselves in the future.